2.1mm Straight - Single End 70"
5.5mm x 2.1mm Boss type barrel plug, straight, single end, 70" long 24 AWG parallel wire. Double Volt 3.5mm right angle mini plugs to a single 2.1mm right angle barrel plug. Double Volt plugs and a 2.1mm right angle barrel plug. 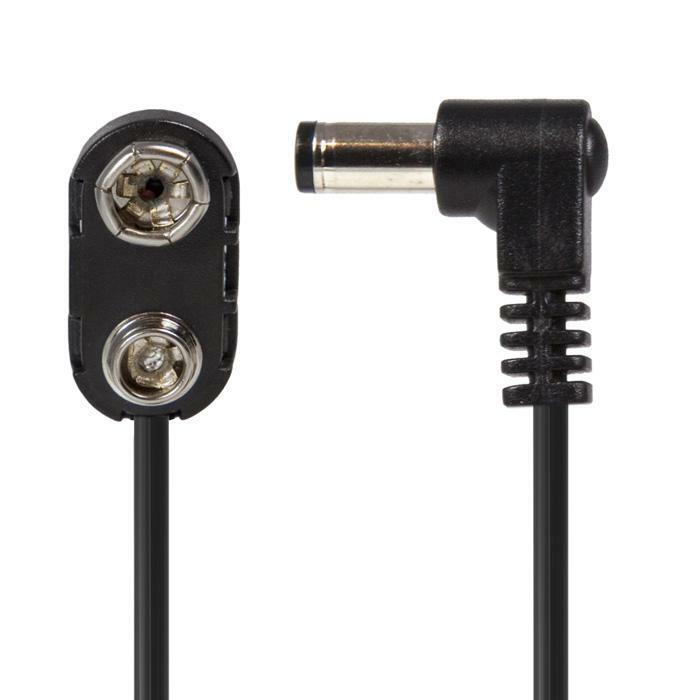 Double Volt straight plugs and a 2.1mm right angle barrel plug with reversed polarity. Double Volt straight plugs and a 2.5mm right angle barrel plug with reversed polarity. 2.1mm straight barrel plug and 3.5mm right angle mini plug.